The NC Commission of Indian Affairs Section 8 Housing program will be taking applications in limited locations in May. 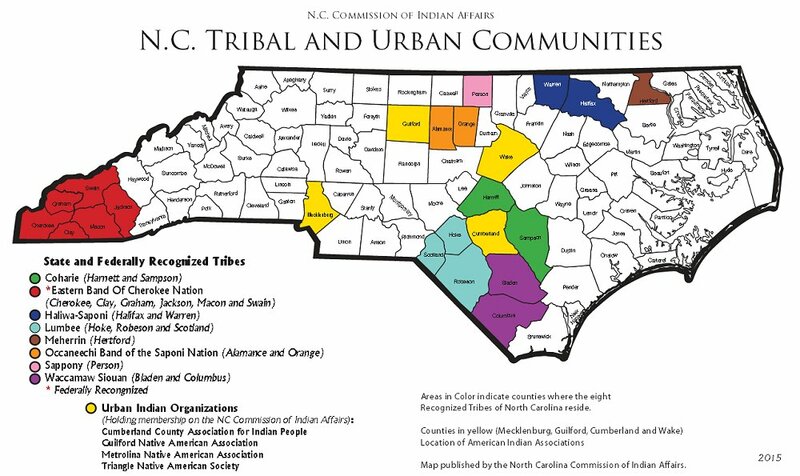 The North Carolina Commission of Indian Affairs was created in 1971 by the North Carolina General Assembly in response to the requests of concerned Indian citizens from across the state. The Commission was established pursuant to North Carolina General Statutes 143B-404 through 143B-411. 184Thousand Native Americans in NC According to the 2010 US Census, North Carolina’s American Indian population totals more than 122,110, giving the state the largest American Indian population east of the Mississippi and the eighth largest in the nation. 14Thousand Years of Indian Heritage in NC Archaeological evidence indicates that Indians were living in the area now called North Carolina at least 12,000 years ago. Indians of what is now the Virginia and North Carolina coast were hosts to the first English-speaking explorers and settlers. Overall, Indians of North Carolina numbered in the tens of thousands, including more than 30 tribes geographically separated by three linguistic families. Cultural sensitivity, along with Cultural Diversity should be a priority and part of the education process! There are 22 school districts, with a total of 36 schools, in the state of North Carolina that still have Indian-themed mascots/logos/names. This includes 10 elementary, 1 K-8, 1 intermediate, 10 middle, and 14 high schools. There are also a number of other schools (not included in this listing) that use terms such as Warriors and Braves but do not have an Indian-themed mascot/logo. American Indians should NOT be portrayed as "MASCOTS". The NC Commission of Indian Affairs and the NC State Board of Education has taken action to eliminated the use of American Indian Mascots in North Carolina. See this website for details regarding the State Board of Educations position regarding this matter. Learn more about this matter.